VA Mortgage 100: Look Before You Leap! Film For Veterans: Laugh Addict -Toxic Drug or Best Medicine? Info Tech Company Is Hiring U.S. Veterans Today! Giant / Martin’s Joins HireVeterans.com! December 6, 2018 – (Triangle, VA) – The Marine Corps Heritage Foundation is currently accepting nominations for its 2019 Annual Awards Program. 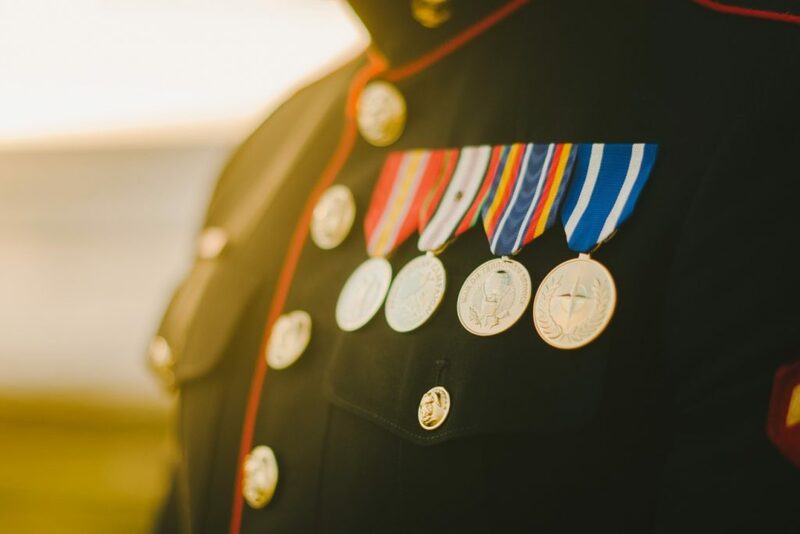 Each year the Foundation presents a series of awards for creative works preserving or advancing Marine Corps history, traditions, culture or service. Marines and civilians are eligible to submit their own artistic entries or the distinguished work of others. The Annual Awards are presented in 16 categories including journalism, documentary, literature, screenplay, combat art, photography and poetry. A panel of experts from major regional and national media outlets, authors, noted photographers and Marines will judge the submissions. Entry is free. Winners will receive a gold medallion award, commemorative brick in Semper Fidelis Memorial Park, and a $2,000 cash prize. “The Marine Corps Heritage Foundation’s Annual Awards program provides us the opportunity to celebrate and recognize individuals who educate our Nation about the Marine Corps’ culture and history,” said Lt. Gen. Robert R. Blackman, Jr., president and CEO of the Marine Corps Heritage Foundation. Awards will be presented at the Foundation’s Annual Award ceremony on April 27, 2019 at the National Museum of the Marine Corps. The deadline for submissions is January 15, 2019. For a detailed list of the awards as well as submission requirements, please visit https://www.marineheritage.org/awards.html. To schedule an interview about the program with a Foundation representative, please contact Dan Gregory at [email protected] or 215.285.4137. Dedicated to the preservation and promulgation of Marine Corps history, the Marine Corps Heritage Foundation was established in 1979 as a non-profit 501(c)(3) organization. The Foundation supports the historical programs of the Marine Corps in ways not possible through government funds. The Foundation provides grants and scholarships for research and the renovation, restoration, and commissioning of historical Marine Corps artifacts and landmarks. Having secured the necessary funding for the complete construction of the National Museum of the Marine Corps and Heritage Center, located in Triangle, Virginia, the Foundation’s current primary mission is to vigorously seek financial support to provide continued leadership, strategic direction and financial oversight in supporting and expanding programs at the National Museum of the Marine Corps and beyond its walls. For more information, visit MarineHeritage.org. All content herein is owned by author exclusively. Expressed opinions are NOT necessarily the views of VNR, authors, affiliates, advertisers, sponsors, partners, technicians or Veterans Today Network. Some content may be satirical in nature. All images within are full responsibility of author and NOT VNR. Since 2011, VNR, formerly known as VNN, has operated in alternative media and information space for U.S. Military Veterans. John Allen is the General Manager. Boardwalk Pipeline Partners Joins HireVeterans.com! Consulting Firm Has Job Opportunities For U.S. Veterans Today! Expert IT Company Has Jobs For Veterans! Veterans News Report (VNR) is an independent alternative voice online journal providing news for members of the military and veterans community.